NatureWise OmegaWise Krill Oil – Will it bring the best results? 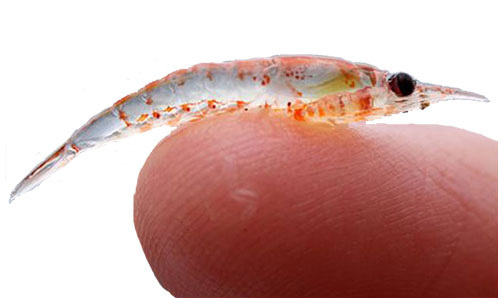 21 Jul NatureWise OmegaWise Krill Oil – Will it bring the best results? Holistic products are available in abundance in this day and age – finding the right one can wind us up being spoiled for choice! Instead of becoming confused as to which brand is the best and trying to understand all the different types of ingredients and formulas, you can put your faith into our reviews.We know the facts and therefore can make accurate comparisons of today’s supplements. Let us help you ensure you get the perfect remedy and avoid scams! Make your life easier and invest your time money and effort into a product that is worth it the first time around. Because Krill and its omega 3 fatty acids have been proven to improve both brain and eye development, a company that goes by the same name as it’s product NatureWise OmegaWise Krill Oil has set out to create a brain enhancement that uses this substance – helping both the cardiovascular system as well as brain growth. It also claims to be great for inflammation in the joints and can relieve symptoms of arthritis!For extra reassurance, this product even goes out of its way to add the GPS co-ordinates of exactly where the Krill was caught and harvested. allergies to fish should find an alternative product. Likewise if anyone is sensitive from any of the other following ingredients they should not consume this product: Gelatin, Glycerin, Water and Vanillin.Possible manageable side effects may be bloating and/or burping.Otherwise there are many benefits of using these substances including: Heart disease, Flushing out excess blood fats (triglycerides), Burning cholesterol, Taming blood pressure, Stroke, Cancer, Osteoarthritis, Depression and also Premenstrual syndrome (PMS) and painful menstrual periods.Decreasing triglyceride levels also helps reducing inflammation, lowering body cholesterol levels, and making platelets less sticky so that they are less likely to form blood clotsThis product is said to contain 100% “Pure Superba Krill” which provides EPA and DHA and these are the omega 3 fatty acids with a rate of than more than 37% absorption – according to the company manufacturers. For around $40, when purchasing by the official online retailer, Amazon – you will receive around a two month supply of 120 soft gels which you are required to take two of per day. This price is a little expensive when considering brain and health supplements. If you want the best product on the market today then you can take home Optimal Omega which is the leading brand of supplements of this nature. This company only charges $19.95 per bottle and even offer a reassuring money back guarantee, although you will not be needing it since the facts about this advanced formula have been backed by scientific evidence of clinical trials. There is no questioning a product this good!